Tejas Express, a semi-high speed train, is supposed to run at 200 kmph. But, on its inaugural run between Mumbai to Karmali (Goa), it touched a maximum speed of 110 kmph. A few days before it was flagged off by railway minister Suresh Prabhu on May 22, Indian Railways claimed that the train can run at a speed of 160 kmph despite constraints related to rail tracks. Member (traffic), railway board, Mohd. Jamshed said it was found that the train is running within permissible limit of 110 kmph due to reasons related to tracks in the Konkan railway which is known for its rugged terrain. “Speed of a train depends on rolling stocks and fixed infrastructure i.e. tracks. Konkan railway’s track passes through several tunnels and its topography and movement pattern is quite different. We have to ensure protection around tunnels due to frequent landslides. Because of these reasons, the train is allowed to run at 110 kmph. The speed would be increased to 120 kmph after a few months,” Jamshed said. 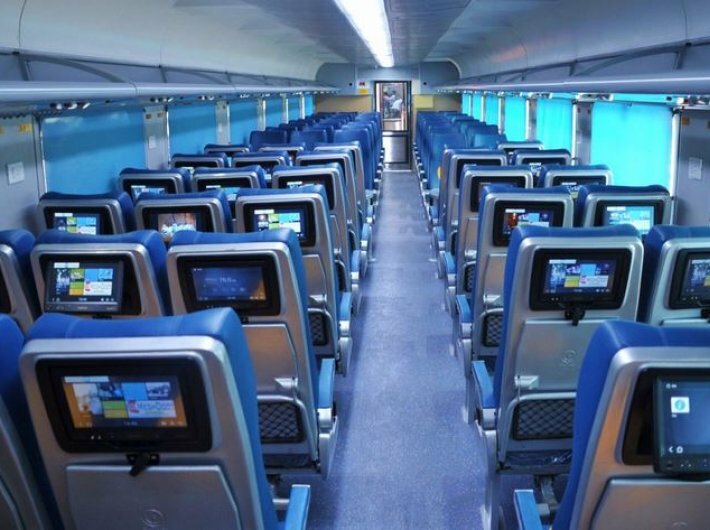 The railway board member said the newly unveiled Mumbai-Karmali Tejas Express took almost same time as its New Delhi-Bhopal Shatabdi which is country’s longest Shatabdi service. It takes eight hours and 25 minutes to cover 706 km from Delhi to Bhopal. “Tejas took eight hours and 30 minutes to cover a distance of 703 km between Mumbai and Karmali, which is fair enough,” he told Governance Now. He elaborated that even the speed of Bhopal Shatabdi varies from station to station because of various factors. “Till Agra, Bhopal Shatabdi runs at 140 kmph and its speed gets reduced to 120 kmph after crossing Bina station. Speed depends on tracks, different conditions and sections,” he said. Jamshed said that the railways is working to ensure its coaches and locomotives run at a speed of 200 kmph. When asked why Tejas’s fare is 20 percent higher than other Shatabdis, he said every coach of Tejas costs around Rs 3.45 crore against an LHB coach which costs Rs 2.43 crore. “We are providing passengers with sophisticated facilities which they won’t get in the roadways. A bus takes over 14 hours to reach Goa from Mumbai which is uncomfortable too. But Tejas offers a comfortable ride to people,” he said.